The golden age of travel is returning to the Scottish Borders for six weeks starting on the 10th September where a steam train will be running on the newly launched Borders Railway, direct from Edinburgh Waverley to Tweedbank. This is a wonderful opportunity to enjoy a truly memorable and historic journey through the beautiful countryside while reliving the golden age of steam travel. Tweedbank station is just one and a half miles away from Melrose, so why not enjoy lunch at Burts or the Townhouse before hopping back aboard the train for the return journey to Edinburgh. The steam train is running from the 10th of September to the 18th of October on a Wednesday, Thursday and Sunday arriving in Tweedbank at 12.14 with return from Tweedbank at 14.38 (14.56 Sundays) so you have time to enjoy a stroll in Melrose and also a light lunch at either hotel. 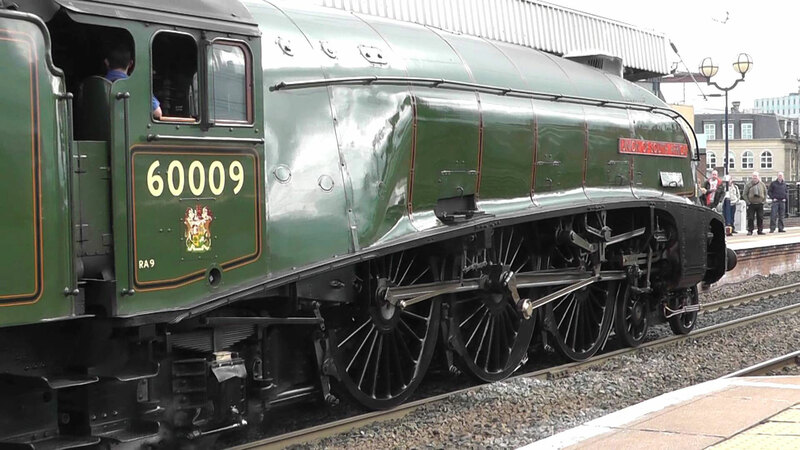 The steam locomotive is the No 60009 Union of South Africa, just one of six remaining LNER Class A4 steam trains in the UK and was built in Doncaster in 1937. You’ll need to book quick, as tickets are selling fast! For full details for booking the steam train and timetable see Steam Dreams. To avoid disappointment we also recommend you book your table for lunch.